Microsoft is getting ready for a big Windows 10 Mobile push after more than five years of toiling in vain on Windows Phone. 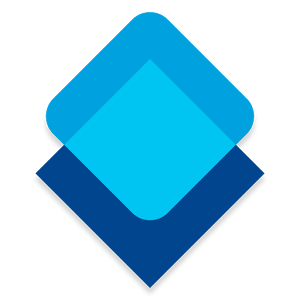 In hopes of encouraging Android users to jump ship, Microsoft has released AppCompare, an app that tells you if the apps you have installed on your Android device are available on Windows Phone. If this sounds familiar, that's because Microsoft already tried this, and it didn't go well. 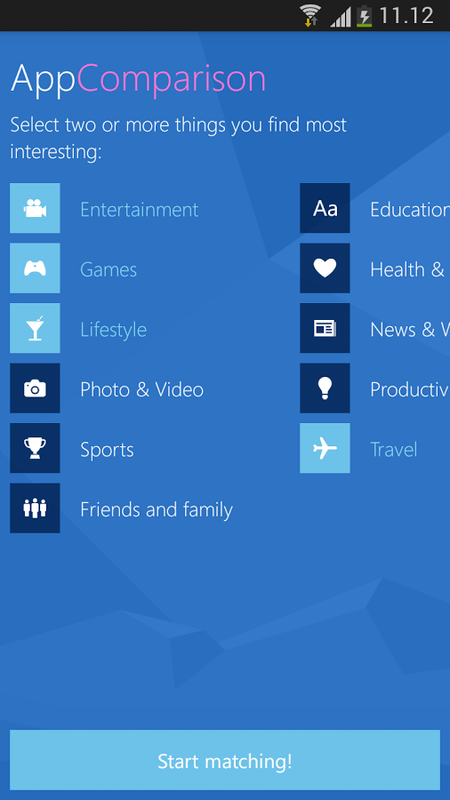 Microsoft released the "Switch to Windows Phone" app in 2013 to scan your apps and find alternatives on Windows Phone. However, it didn't actually show you the matches. It simply connected to a Windows Phone to download the apps. Switch to Windows Phone was eventually repurposed as a data migration tool, and now we have AppCompare, which does show you which apps are available on Windows Phone. Unfortunately, there still aren't very many. 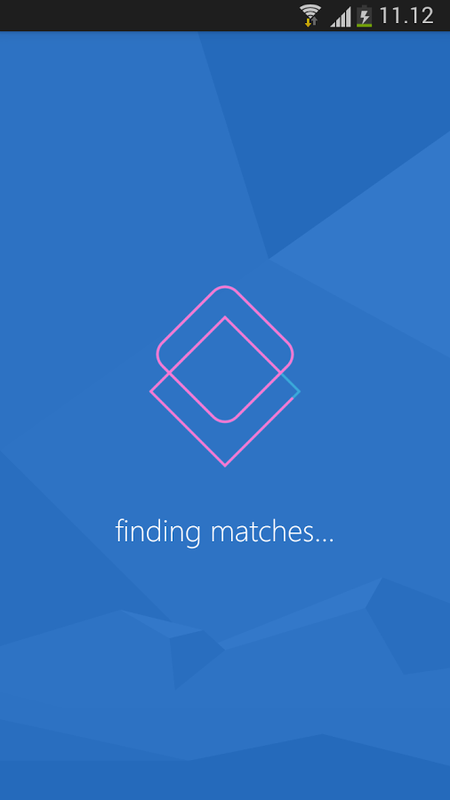 On my device, there were about 20 matches for the usual stuff like Dropbox, Twitter, and PayPal. 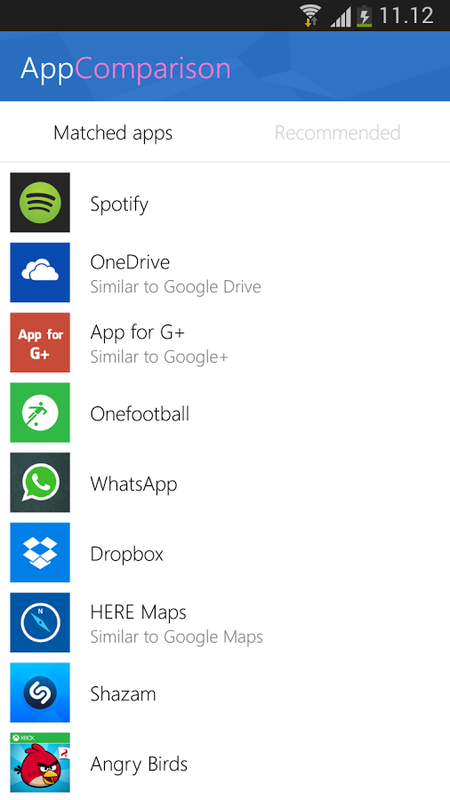 It also offered some reasonable alternatives like Here Maps (Google Maps) and OneDrive (Drive). From there, things get sketchy. 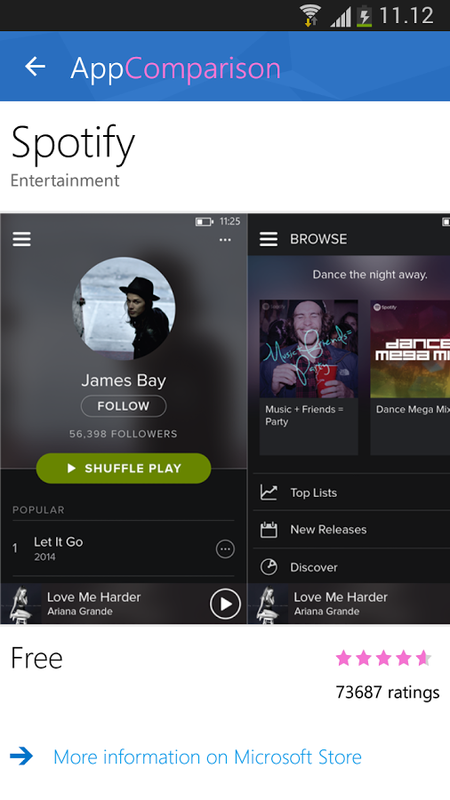 I'm not sure what CloudMuzik is, but it doesn't look like a close match to Google Play Music. 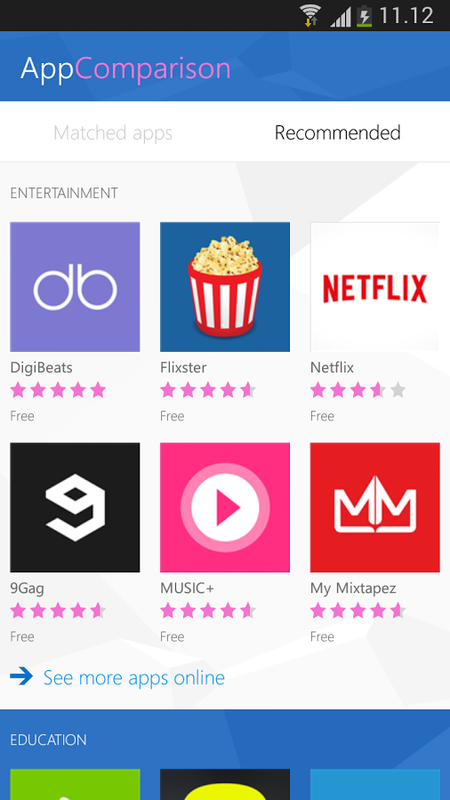 There's a second tab that lists popular apps regardless of what you have installed. So, feel free to check it out. It's always nice to see if the grass is greener on the other side (it isn't).